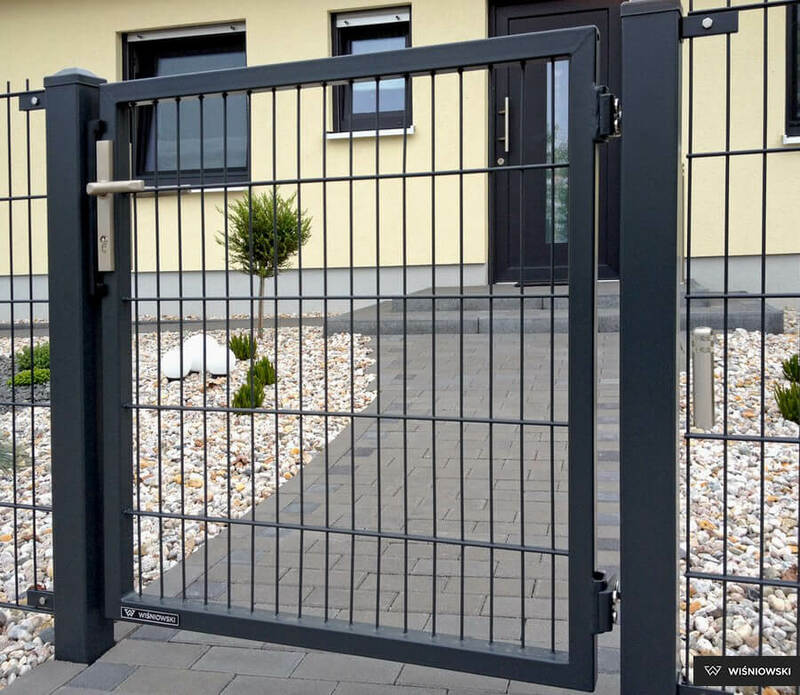 GARDIA gate and wicket are system solutions designed for the home and for industry. 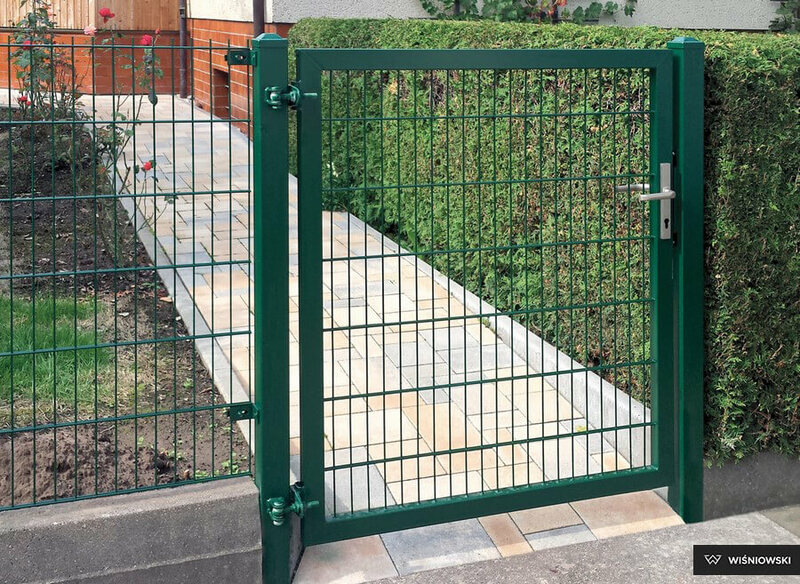 Main posts and a set of LOCINOX hinges and lock are supplied with a gate or wicket. Corrosion protected by hop-dip galvanising or Duplex system: hot-dip galvanising + polyester coating. GARDIA gates and wickets are a good choice for all types of private, public and industrial areas. 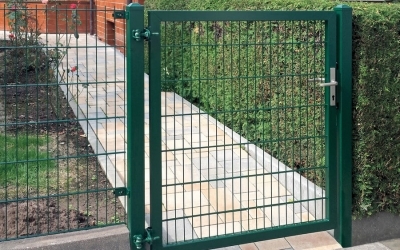 Gates can be installed to enclose premises, gardens, parks, schools, kindergartens, stores, etc..
Gate and wicket leaf are filled in with Vega 2D mesh panel with wire diameter 6/5/6 or Vega 2D Super 8/6/8. Welded mesh panel welded to the frame. 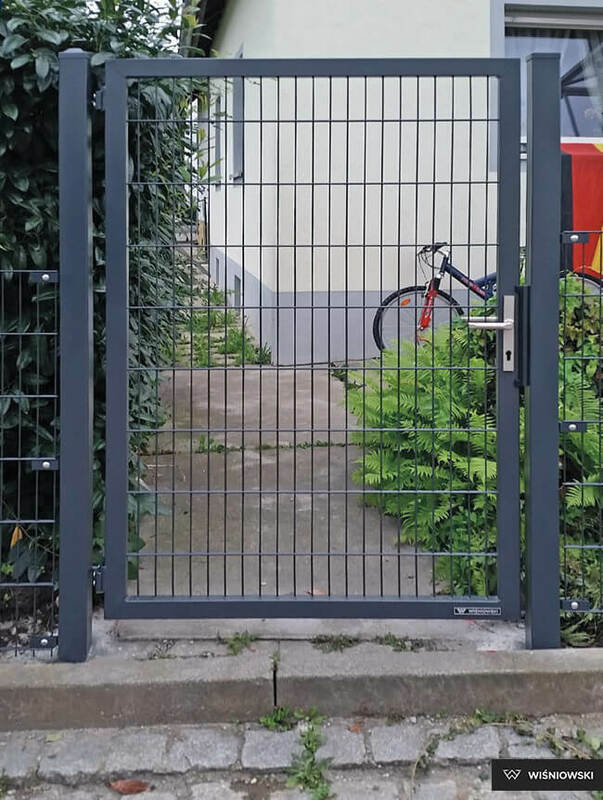 Gates and wickets with main posts, Vega 2D or Vega 2D Super panel infill welded to the frame, represent solid and durable construction. Reliable LOCINOX hinges allow for 180° opening angle. The hinges offer extensive adjustability. With the reversible construction, gates and wickets ensure any possible opening direction. To achieve the required swing direction, it is enough to correspondingly install the posts, and then, if needed, reverse the symmetrical strike and latch bolt. 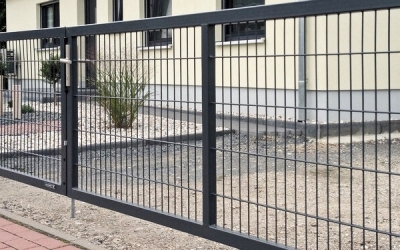 Gates and wickets are hot-dip galvanised or hot-dip galvanised and polyester coated for corrosion protection. 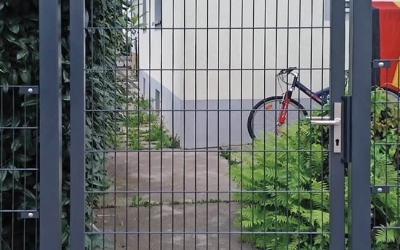 Combining hot-dip galvanising with powder coating in DUPLEX® system ensures the extended durability of WIŚNIOWSKI fencing. 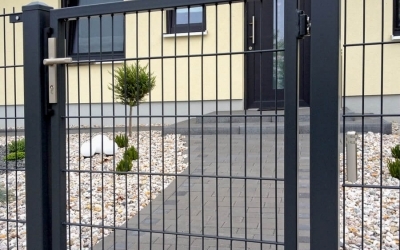 Despite the weather conditions, we have a lasting peace of mind that WIŚNIOWSKI fencing will be visually appealing. 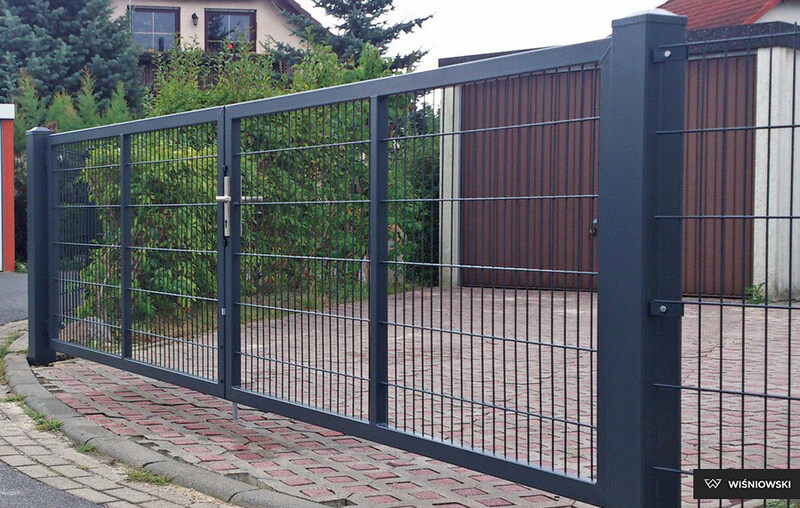 The design of gate or wicket frame depends on its dimensions and can be made of 60x40 or 80x40 mm sections. The leaf is equipped with reversible lock and, in double-leaf gates, LOCINOX drop bolt. On side of the leaves LOCINOX hinge brackets are welded. Posts of gates and wickets constitute an integral part of the product. Posts have been designed to meet the strength requirements of the whole construction. Posts are topped with caps type pyramid. To manufacture the posts, the following sections has been selected: 80x80, 100x100, 120x120 and 160x160 mm.